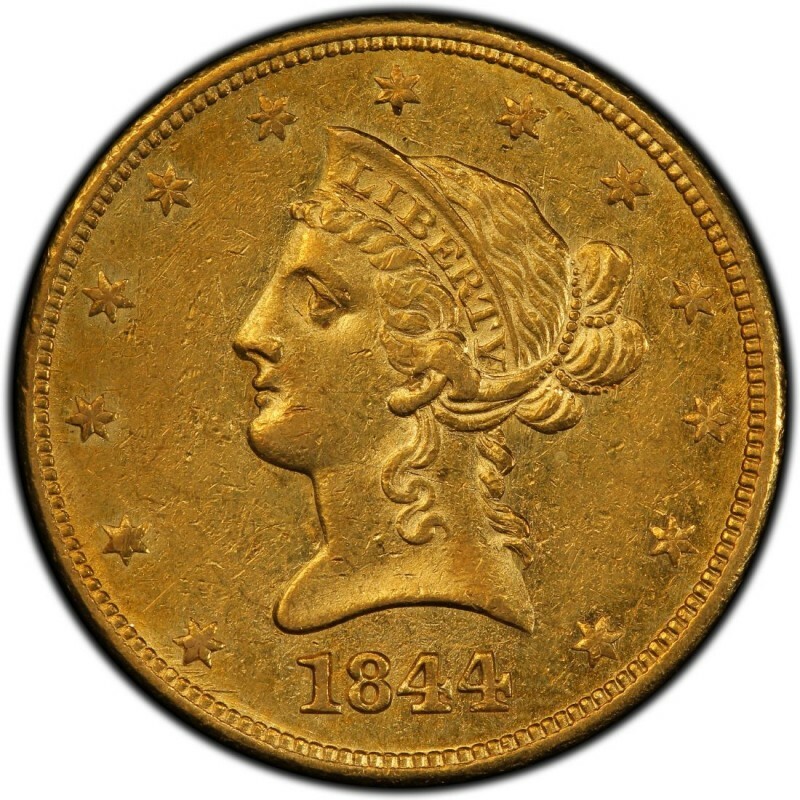 1844 Liberty Head $10 gold coins are difficult coins for collectors to locate as they were made in small quantities and many of those coins were melted down or have been lost to the elements of time. Containing 0.4806 ounces of gold, Liberty Head $10 gold eagles were the first $10 gold coins made at the United States Mint since 1804, which was when the Liberty Cap $10 gold coin saw its last year of production. The third Chief Engraver of the United States Mint, Christian Gobrecht, designed 1844 Liberty Head $10 gold eagles, a design that first came to light in 1838. Gobrecht was also the same person who designed Seated Liberty coinage, which was produced from the late 1830s through early 1890s. Notice that the 1844 (Philadelphia) gold eagle coin, which has a much lower mintage than the New Orleans issue, costs less. That’s because fewer Philadelphia issues exist today than New Orleans coins from the year. This is quite common with many pre-1933 U.S. gold coins. 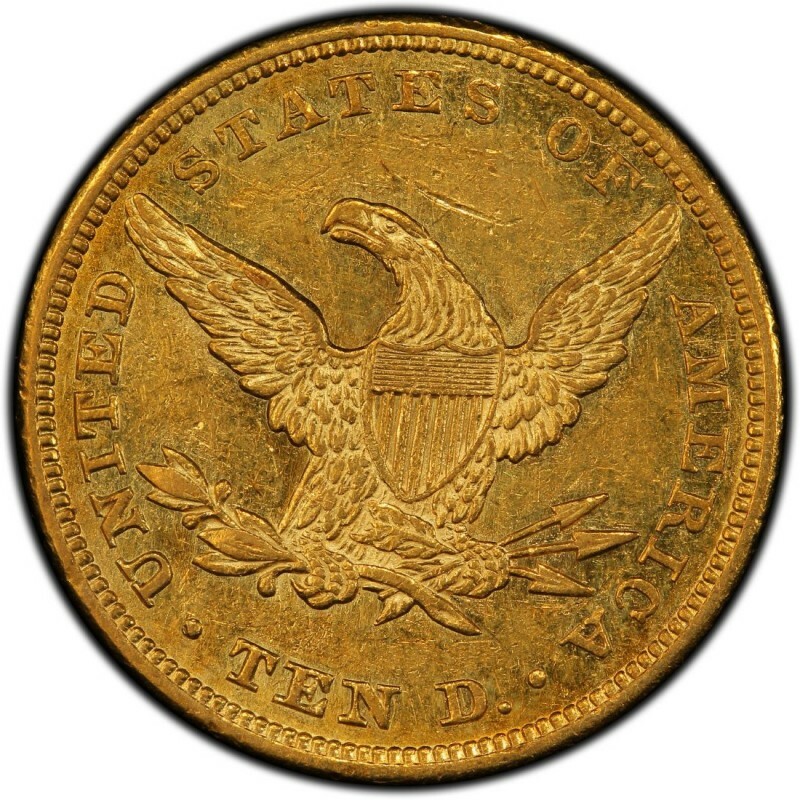 Given the scarceness of many pre-1933 U.S. gold coins, such as 1844 $10 eagles, it’s recommended that they are bought certified from reputable third-party coin grading firms or, if purchased “raw,” from trusted coin dealers or bullion distributors.